Once more we are learning English using songs. This time Stand By Me by Oasis. These Mancunian brothers had a big hit that was very popular when I was an Erasmus in Bristol: Wonderwall. The song is about prejudice and teaches you that we can't judge a book by its cover. It is much time to look carefully than having a quick judgement. We all have experienced that. Victoria S. has suggested two exercises with Stand By Me: a fill in the gaps and a translation one. You can translate into your own language the chorus and spot the conditional sentence too. my heart starts to burn. the things we find the door. Today we are dealing with a difficult song, Bohemian Rhapsody; rhapsody comes from the Greek word "ραψωδία" meaning "the one who sews epic chants". The song was written Freddy Mercury, whose voice was close to the opera singers. Probably this is why there are a lot of references to opera, like using Italian words such as Galileo, Figaro, magnifico. We can also hear Bismillah which is the first word appearing in the Coran, meaning "in the name of Alah, the merciful and compassionate". Arabic people use it this blessing before eating or some other important acts. The topic of the song is the confession of a son to his mother about the killing of the man. No reasons are given, so no judgements should be given. Tough topic! Tomeu C. has chosen a song by the polemic band Green Day, Wake Me Up When September Ends. Remember they even called G.W. Bush an idiot. I am going to make the students reflects on the idea of Carpe Diem "Seize the Moment", on this moments when we want time to stop. In terms of relationships, who make/break more promises, boys or girls? Let's open the debate! Another important issue is the long-lasting conflict in Afghanistan and Irak. Is it still fair to have troops there? Can they be left on their own? Was it a war for oil or against terrorism? As grammar point we are going to learn temporal clauses with when + present simple. I hope you are already up and don't wait to wake me up [until] September ends. Who hasn't heard Gotye's song Somebody That I Used to Know so far? Some of us even have thought he was Sting's son as his timbre is rather similar. However, he is not even British, but Belgian-Australian. The name "Gotye" is derived from "Gauthier", the French equivalent of "Walter" or "Wouter", his real name. Taking advantage of the video we are going to revise not so common word of the semantic field of body. Afterwards I am going to talk about tattooing in New Zealand as body art. The we will open a debate about tattoos. The song and the activities have been chosen and done by Jaume C. and I expect he revises the use of used to for past habits. 1. Complete the gaps with the correct words. 2. Translate the highlighted sentences. And I wouldn't catch you hung up on somebody that you used to know . 1.- Put the prompts in the right order to make a sentence. you’re / I / that / Now / just / somebody / to know / used . even / your / And / don’t / love / I / need . And I not even need your love. Now and then I think of when we was together. 3.- Find two frequency adverbs. 4.-Spot three verbs in the past. With this song we are starting a series of activities with music done by the students themselves. Every week there will be new songs to cheer up your week. Every song tries to explain a grammar point and it will have a few listening exercises. Apart from these, the glossary will help you to widen your vocabulary. We are going to start with a song choosen by Olga G.G., All Around the World by Paulina Rubio. This blondie has been called the "Mexican Madonna" although she declared that she wished to as the Blonde Ambition sells pretty more records than she does. Today we are helping to raise awareness of the importance of preventing Breast Cancer. Unfortunately, some of us have had someone in our family or someone we really love that have gone through cancer. In my mere opinion, supporting them is not just showing a condescending attitude, but treating them as normal. If they feel like crying, just let them do it; however, if they want to keep on with their daily lives, help them to do it. The following video helps you to recognize a potential breast cancer. Just a quick examination on yourself will help you to prevent it. A good way of helping them not thinking all day long about their problem is taking them to the theatre. Our beloved Azucena Alonso, actress and friend, sublime monologuist, to whom I have had the pleasure on seeing her twice on stage, once with the magical play Tres Deseos (Three Wishes) and a funny monologue on pieces of advice for women. On this occasion, she is going to perform her play Japuta pero imbécil (Wicked but stupid). So go to Leganés and buy your ticket. You will enjoy a fabulous performance, get a pink ribbon, a support a good cause, the fight against Breast Cancer. All the fundings go to AECC, the Spanish Association for the fight against Cancer. 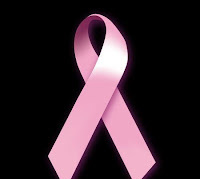 From Mallorca, all our support to those women suffering from breast cancer and our best wishes to Love & Chocolate Company. Canadians want to be different. Unfortunately, when people think of North America, they just picture in their minds the USA, forgetting our Mexico "lindo" and the vast lands of Canada. We already know the history of Thanksgiving. Puritan people, unhappy with the religious ways of James I, decided to quit England for good and set off on the Mayflower searching for the coast of Massachussets. If you read London by Rutherfurd, he even makes the Mayflower departs from London before getting to Southhampton. To mark a difference, Thanksgiving is the 2nd Monday in October, while Americans celebrate it on the 4th Thursday in November. For Canadians, Thanksgiving is mostly a celebration of the harvesting. It is said the first Thanksgiving in Canada was when Martin Frobisher, an explorer from England, arrived in Newfoundland in 1578. He wanted to give thanks for his safe arrival to the New World. Therefore, the first Thanksgiving in Canada was celebrated 43 years before the pilgrims landed in Plymouth. However, it is mainly a question of being further in the north, reason why their harvest season arrives earlier.